Jason Britton, ICON and Kawasaki stunt rider, is an unbelievable rider and sport ambassador. 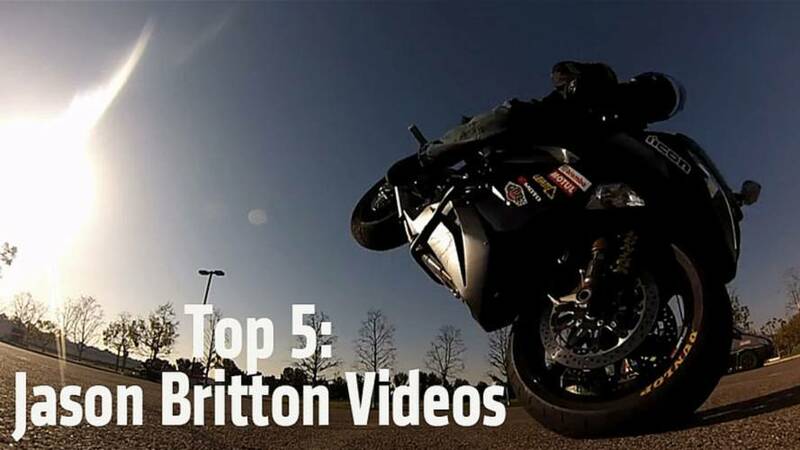 Here are 5 of our favorite Jason Britton videos. I had heard stories about how amazing Jason Britton was, but it wasn't until the Kawasaki/ICON Gaslamp Takeover last month that I finally got to see him in action. Not only is he is a super nice dude, he also rides a motorcycle like I've never seen. Here are five of the best Jason Britton videos on the Internet. Jason is an ambassador for stunt riding and is also an advocate of properly learning the sport with the correct equipment and safety gear, and in a private and safe location. He has a degree of of bike control not often seen and is able to display his talent, while encouraging fans not to go out and mimic his stunts without proper training. "To say you're a stunt rider and you go and do a wheelie down the highway...that's not what it's about. That's the same as saying you're a road racer and going to Ortega highway to see how fast you can get to the top of the hill." Jason does a lot with the military, while also encouraging them to ride safely. Would you let him try and 'stoppie' as close to you as possible? I can't imagine seeing it wet outside and thinking, "Today seems like a good day to practice sliding the back end." If I could pick one of these tricks to have Jason teach me, it might be drifting. What do you think? Is Jason Britton a master of his craft or just another hooligan giving motorcycling a bad name? Can stunt riding be done responsibly?